Below Error got displayed when altering one of our Database tables. This issue got solved when I changed the database engine of the table from InnoDB to MyISAM, and I have contacted our hosting support to find the root cause of this issue to avoid any further issues. And, waiting for their updates. If anyone know the reason for this issue you can share your knowledge thro' the comments section. You can continue your reading if you want to know more about these database engines. The storage-engine is what will store, handle, and retrieve information for a particular table. MyISAM is the default engine with MySQL. Each MyISAM table is stored on disk in three files. The files have names that begin with the table name and have an extension to indicate the file type. An .frm file stores the table format. The data file has an .MYD (MYData) extension. The index file has an .MYI (MYIndex) extension. MyISAM and InnoDB are the two most-common database engines available with the popular open-source database provider, MySQL. You can check or repair MyISAM tables with the mysqlcheck client or myisamchk utility. MyISAM has full-text search index. InnoDB is relatively newer than MyISAM. And it supports use of foreign-key constraints. i-e In an employee management system, foreign-key constraint can prevent deletion of any row from department table if that department is used in employee table. In other words we can not delete a department if an employee is associated with that department. InnoDB stores user data in clustered indexes to reduce I/O for common queries based on primary keys. InnoDB stores its tables and indexes in a tablespace, which may consist of several files. InnoDB is transaction-safe meaning data-integrity is maintained throughout the entire query process. InnoDB also provides row-locking, as opposed to table-locking. i-e while one query is busy updating or inserting a row, another query can update a different row at the same time. 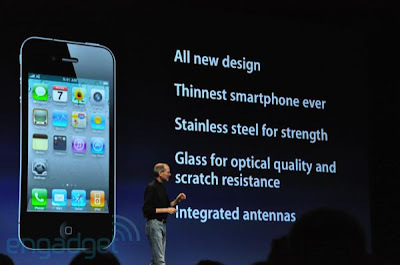 These features increase multi-user concurrency and performance. InnoDB recovers from a crash or other unexpected shutdown by replaying its logs. InnoDB consumes more system resources such as RAM. So, basically you can use MyISAM for simple databases and can go for InnoDB for relatively complex requirements. We are working on to get Google pagerank using php code for one of our customer projects. I referred this webpage for doing this. This code works fine in our local machine. We are using it for long time from our local machine. And, we tried to use it in our server few months back. But it didn't work in our server since fsockopen is not enabled in our server. But, today this code didn't work in our customer's server even when fsockopen is enabled in their server. During debugging I came to know that Google returns "Your client does not have permission..." error message. I have gone thro' many forums to know more about this issue. But it seems there is no solid answer for this issue. Everyone is having different experience/opinion with this issue. For example, some people are saying that Google might have banned the IP of the server if any other domain hosted on the same IP had misused Google's services. Some are saying that it works in some verison of php and doesn't work in some other version. Incorrect ch parameter generation due to bitwise operator issue is another reason stated by few people. And, suggestion of using USER_AGENT in cURL request for mimicking as actual browser request is rejected by some others who say Google won't encourage by saying that the Pagerank request should be originated from the server or not from the client browser. (Request from Actual Browser Toolbar is different). I couldn't understand this issue clearly. If you know more about this you can share thro' comments. It seems this issue is related to the different behaviour of php in 32 bit machines and 64 bit machines. This issue is solved by using the php code specific to 64 machines. In my previous post I have embedded a mp3 song from pallikalvi.in using mplayer2. I used below code for embedding it. It is working fine in IE (Internet Explorer), but in FireFox it start playing the song automatically even when autostart is specified as false. The reason is Embed tag is a non-standard tag. So, firebox is not taking its attributes correctly. So, I searched some alternate code which will be working in both IE and FireFox. But they didn't work as expected. You can share the code, if you know any standard way of providing mp3 player which will work properly in both IE and FireFox. The ninth World Tamil Conference will be held in the city of Coimbatore (Tamil Nadu, India) from 23rd June to 27th June 2010. It signifies the classical status given to Tamil. i-e Tamil is the one of the very few number of Classical languages such as Greek and Latin. Seminars will be conducted in the below subject Areas. Tamil Internet Conference also be organized along the Tamil conference. This Internet Conference will be discussing about below things. - role of TVU, regional chapters, . ..
We can read the current Unicode status of Tamil from this FAQ Section. Refer these links which are useful for knowing about Information Technology of Tamil. You can read details about this conference here. You can see the list of previous Tamil Conferences here. If you are interested to learn Tamil you can approach the Tamil University or Tamil Virtual University. 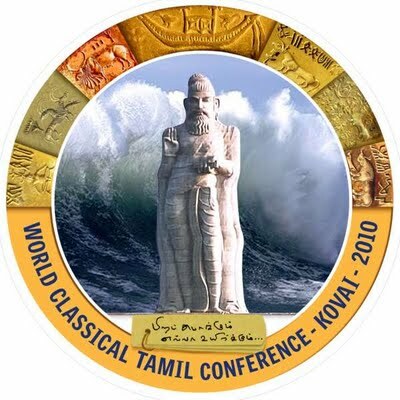 You can see a Statue in the logo of the Tamil Conference. It is the statue of Great Tamil Poet/Saint Thiruvalluvar who lived in Tamilnadu before 2000 years i-e even before the Jesus Christ. Refer the Useful Links section in the Side Bar of this blog to read the writings (Thirukural) of Thiruvalluvar. This is the Guest post from Barbara Young. You can read the Guidelines if you are interested in writing Guest posts. Here’s an instant way to learn the way solar panels work. Solar power is radiant energy that is produced by the sun. Every day the sun radiates, or sends out, an incredible amount of energy. The sun radiates more energy in a single second than people have used since the beginning of time! The energy of the Sun originates from within the sun itself. Like other stars, the sun is a big ball of gases––mostly hydrogen and helium atoms. The hydrogen atoms in the sun’s core combine to form helium and generate energy in a process called nuclear fusion. During nuclear fusion, the sun’s extremely high pressure and temperature cause hydrogen atoms to come apart and their nuclei (the central cores of the atoms) to fuse or combine. Four hydrogen nuclei fuse to become one helium atom. However the helium atom contains less mass compared to four hydrogen atoms that fused. Some matter is lost during nuclear fusion. The lost matter is emitted into space as radiant energy. It takes countless years for the energy in the sun’s core to make its way to the solar surface, after which slightly over eight minutes to travel the 93 million miles to earth. The solar energy travels to the earth at a speed of 186,000 miles per second, the speed of light. Only a small portion of the power radiated from the sun into space strikes our planet, one part in two billion. Yet this volume of energy is enormous. Every day enough energy strikes america to provide the nation’s energy needs for one and a half years! About 15 percent of the sun’s energy that hits our planet is reflected back to space. Another 30 percent is used to evaporate water, which, lifted into the atmosphere, produces rainfall. Solar power is also absorbed by plants, the land, and the oceans. The rest could be employed to supply our energy needs. Who invented solar power ? People have harnessed solar power for hundreds of years. Since the 7th century B.C., people used simple magnifying glasses to concentrate the light of the sun into beams so hot they would cause wood to catch fire. Over 100 years ago in France, a scientist used heat from a solar collector to create steam to drive a steam engine. In the beginning of this century, scientists and engineers began researching ways to use solar energy in earnest. One important development was a remarkably efficient solar boiler introduced by Charles Greeley Abbott, an american astrophysicist, in 1936. The solar water heater came into common use at this time in Florida, California, and the Southwest. The industry started in the early 1920s and was in full swing right before The second world war. This growth lasted prior to the mid-1950s when low-cost propane became the primary fuel for heating American homes. People and world governments remained largely indifferent to the possibilities of solar energy until the oil shortages of the 1970s. Today, people use solar power to heat buildings and water and to generate electricity. How we use solar energy today ? Solar thermal energy collects the sun's warmth through one of two means: in water or in an anti-freeze (glycol) mixture. 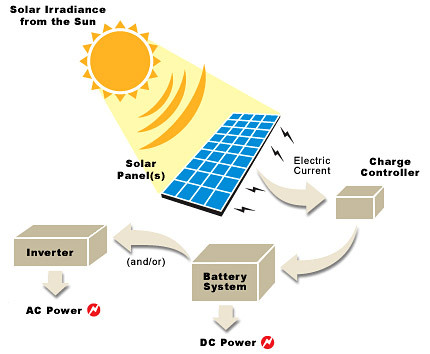 Solar photovoltaic energy converts the sun's radiation to usable electricity. 1. Small portable solar photovoltaic systems. We have seen these used everywhere, from calculators to solar garden tools. Portable units can be used for everything from RV appliances while single panel systems can be used traffic signs and remote monitoring stations. 2. Solar pool heating. Running water in direct circulation systems via a solar collector is an extremely practical method to heat water for your pool or hot tub. 3. Thermal glycol energy to heat water. In this method (indirect circulation), glycol is heated by the sun's rays and the heat is then transferred to water in a warm water tank. This method of collecting the sun's energy is a lot more practical now than in the past. In areas as far north as Edmonton, Alberta, solar thermal to heat water is economically sound. It can pay for itself in 36 months or less. 4. Integrating solar photovoltaic energy into your home or business power. In numerous parts of the world, solar photovoltaics is an economically feasible solution to supplement the power of your home. In Japan, photovoltaics are competitive with other kinds of power. In america alone, new incentive programs make this form of solar technology ever more viable in many states. A frequent and practical method of integrating solar energy into the power of your home or business is through the usage of building integrated solar photovoltaics. How can Photovoltaic panels work ? Silicon is mounted beneath non-reflective glass to create photovoltaic panels. These panels collect photons from the sun, converting them into DC electric power. The power created then flows into an inverter. The inverter transforms the energy into basic voltage and AC electric power. Solar cells are prepared with particular materials called semiconductors like silicon, which is presently the most generally used. When light hits the Photovoltaic cell, a certain share of it is absorbed inside the semiconductor material. This means that the energy of the absorbed light is given to the semiconductor. The power unfastens the electrons, permitting them to run freely. Solar cells also have one or more electric fields that act to compel electrons unfastened by light absorption to flow in a specific direction. This flow of electrons is a current, and by introducing metal links on the top and bottom of the -Photovoltaic cell, the current can be drawn to use it externally. Do you know the advantages and disadvantages of solar power ? Heating our homes with oil or gas or using electricity from power plants running with oil and coal is a reason for climate change and climate disruption. Solar power, on the other hand, is clean and environmentally-friendly. Solar hot-water heaters require little maintenance, and their initial investment could be recovered in just a relatively short time. Solar hot-water heaters can work in nearly every climate, even just in very cold ones. Simply choose the right system for your climate: drainback, thermosyphon, batch-ICS, etc. Maintenance costs of solar powered systems are minimal and also the warranties large. Financial incentives (USA, Canada, European states…) can help to eliminate the cost of the initial investment in solar technologies. 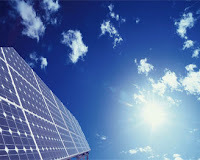 The U.S. government, for instance, offers tax credits for solar systems certified by by the SRCC (Solar Rating and Certification Corporation), which amount to 30 percent of the investment (2009-2016 period). The first investment in Solar Water heaters or in Photovoltaic Electric Systems is higher than that required by conventional electric and gas heaters systems. The payback period of solar PV-electric systems is high, as well as those of solar space heating or solar cooling (only the solar domestic hot water heating payback is short or relatively short). Solar water heating do not support a direct combination with radiators (including baseboard ones). Some air con (solar space heating and the solar cooling systems) are expensive, and rather untested technologies: solar ac isn't, till now, a really economical option. The efficiency of solar powered systems is rather determined by sunlight resources. It's in colder climates, where heating or electricity needs are higher, that the efficiency is smaller. The author - Barbara Young writes on solar RV power in her personal hobby weblog 12voltsolarpanels.net. Her efforts are dedicated to helping people save energy using solar powered energy to reduce CO2 emissions and energy dependency. Our Easy Learning is started getting significant number of visitors in very short span. So, I think many people will be requiring similar products for promoting their website or blog. And therefore, I am planning to sell the Easy learning to people who want to use it for getting more web site visitors. You can see the Admin module screenshots here. Contact rajamanickam.a@gmail.com if you want to have this for your website also. I don't want to set any fixed price for this product. So, remember to mention your quote/price. Note that buying this product won't give you exclusive right for this product. We will be continuing to sell this for others also. But we will be selling to very limited people only. So, every one will not get this product even if they are willing to pay the price. I will be considering below factors. - Website where you are going to use this product. - List of Topics that you are going to create. Our Team will help you to set-up this product and even we will help you to create the topics and data if you find any difficulty in using our bulk upload feature. And, if you want to make any custom changes we will do it for you. Even you can contact us for any other projects also. You can use this product as a Sales and Marketing Tool. For example, Software Testing topic in our Easy Learning increases sales of our eBook about software testing and QTP automation. As I mentioned in my previous announcement we have started working on converting the Stock News Reader into web based application. You can see the initial version of web-based Stock News Reader here. It is being developed using php and mysql. It is very simple and initial version, we will be continuing to work on releasing new features frequently. -It will just show the News for a random stock if you haven't logged in our Forum. -If you login with our Forum, you will be having an option to store number of stock symbols. And, you will see News for your stored list of stock symbols. - You can change your stock list at any time easily. I hope it will be more flexible than VC++ version. Currently it is just reading the finance news from RSS feed of Yahoo finance site only. We are planning to combine Finance news from many sources in future. We are trying to make our Forum login as single sign-on or passport for all our current features (Quiz, Bookmarking, free downloads, and News reader) and coming features. And therefore, we are having plans to allow only limited number of Forum members. Our Moderator Team is working on to remove already registered Forum members who appear to be spammers. And, feel free to report any issues/difficulties you face with our products. Apple is introducing free Apple Store app. 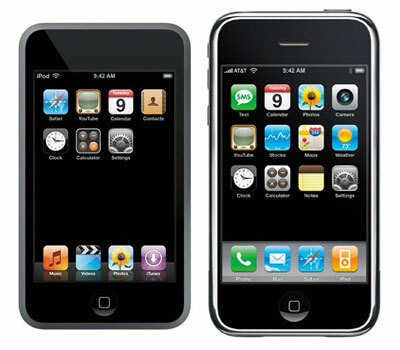 The reason for launching this free App is allowing the users to easily buy the iPhone 4 which will be coming to market in few days. This Apple Store app allows iPhone or iPod users to find the nearest Apple retail store, make reservations for appointments or workshops, and shop for products and accessories. Lot of other free apps are available for iPod. You can see some of the free apps for ipod touch. You can add comments about these free Apps. Some more free Apps can be downloaded from here. And, you can share thro' comments if you know any other free Apps for iPod or iPhone. 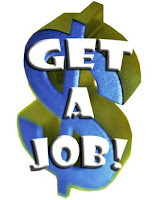 We can see many Fresh graduates worrying about getting experience for getting job in IT company. Their worry looks valid, but actually it is not. But, you can easily break this cycle by getting experience in Software Development even without getting any job. i-e You need not get permission from anyone to get job experience. Find below few ideas for things you can do without anyone’s permission. You can start a new open-source project or can join with any existing open source projects. If you are not comfortable with programming, you can do testing or documentation. Open Source projects need lot of people for doing QA and Documentation. You can get the open source projects from sourceforge.net, codeplex.com and code.google.com. Learn using API of Social networking sites. e.g Twitter client and Facebooks apps. Develop your own application and try to spread it thro' the social networking site. You can develop app if you have Smart Phone. 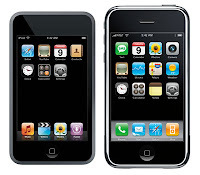 Getting your app into the iPhone AppStore or Android marketplace will increase the possibility of getting job. You will get handful of experience if you follow above steps, and adding these experience in your resume will get you job in IT Company. And if you have done above things and live in India, you can contact qualitypointmail@gmail.com - QualityPoint Technologies is looking for you. These things are useful only for getting entry into Software Development. Continuing these things for long time is not advisable for freshers. Because, the real strength of doing any project is in Team work. You will get an opportunity to learn Team work only when you work in a Team environment which will be available in IT company. As I mentioned in my previous post we are continuously improving our Easy Learning. We are already having a feature for sending the score thro' emails. Some spammers started misusing this feature for sending some junk emails continuously. (Anyway they can not change the built-in content). Initially I wanted to integrate the Easy Learning module with our Forum to avoid spammers. The phpBB forum is lot of options for blocking the user and ip to preventing the spammers. But this integration will force everyone to become our forum members for playing this Easy learning. I don't want to force easy learning users to become our Forum members. So, I added custom php coding to avoid this issue. I created new table and php function for logging the ip of the user when sending the email. The new code won't allow the user if he tries to send email again within a hour. I added below piece of code in the mail sending page. And, added below functions in the function file. And we added new topics such as Football players and Photo Shop Tools. Inventory Control System - Mange products, customers, invoice and Reports. As I mentioned in my previous post, we are working on to release many useful digital products for reasonable price. Today I am going to introduce our "Inventory Control System". Free Demo is available here. This initial version is having very basic features only. So the price will be less. If you want to make any further changes and new feature, we will do it for additional cost. Read here the benefits of doing your projects with us. Find below the key features of this "Inventory Control System". Login with option for specifying branch of office. Customer list with Search facility. Sales order form - It has the inerface similar to Windows based applications. You you either select the existing customer or add new customer details while preparing Sales Order. Sales order list with pagination and Search facility. Repairing module specific for Service Unit. In this post I will explain about how to add piece of php code in all files (including new files to be added) within a particular sub-folder in Apache server hosting environment. Let me explain why we need to add piece of php code in all files within a folder. If you want to make changes in your web pages for displaying them correctly in mobile devices, you need not change all the pages manually. You can automatically add a piece of code in all files. It will greatly reduce the development time and make easy any future maintenance changes. Recently one of our Customers wanted to restrict the access to the files within a sub-folder so that only the registered members can access them. Normally, we can do it by adding a include file in all files. Inside the include file we can write a piece of code which will check Session or cookie variable to restrict the access based on whether the user has loged in or not. But this approach won't work in this case, because our customer wanted this feature to work in any new files that will be added to the sub-folder. auto_prepend_file is a file that will be added to the start of any PHP scripts. First I tried to specify the auto_prepend_file in .htaccess file as below. It works fine in our local machine. But when I uploaded the .htaccess file to the customers server, it didn't work. So I tried other options such as placing php.ini file within the sub-folder with below entry. This approach also didn't work in the server. From phpinfo() I understand that the server is not taking/considering the sub-folder versions of php.ini file it is not allowing to use php_value in the sub-folder versions of .htacess file. So we contacted the support for solving this issue and they changed the setting so that our entry in php.ini file is taken by the server. And everything worked fine in the server. We added below piece of code in global_prepend.php for providing member only access for certain files. Now this setup will not allow the non-members to view the newly created files also. i-e We need not make any change in any of the files. Now let us see how to achieve this if the hosting is not allowing to make any change in php.ini file. Actually I tried below things as workaround before contacting the hosting support. I know that it is not an effective approach. But still I tried it as I thought the hosting will not allow to enable php.ini out of root. It uses mod_rewrite module of the Apache. - Created .htaccess file within the sub-folder to have url-rewrite rules for redirecting the page requests to the logincheck.php with the actual page name as the querystring parameter. -The logincheck.php will get the querystring parameter and will do page redirection using the value. For example if you type index.php in the browser address bar, .htacces file will redirect it into logincheck.php with index.php as parameter. And, the logincheck.php will again do redirection to the index.php (passed a querystring) if the member login condition is satisfied. -The .htaccess file will look something similar to below one. The basic function worked, but there were many issues due to looping/infinite/cyclic redirections. But still cyclic redirection was there in one scenario. i-e when doing redirection from logincheck after checking the member login using Session variable. So I wanted to add similar Rewrite condition for HTTP_REFERRER also. I added below line also in the .htaccess file. But it didn't work. I haven't continued this workaround further because the hosting support had solved the issue and everything works fine using auto_prepend_file. Anyway I am just sharing my experience so that some one not having access to change php.ini can follow these steps. (But they need to solve the last issue. And if you know the perfect solution you can share thro' the comments section). Currently we are selling our eBook about Software Testing & QTP Automation for 12$ and Time Sheet for 15$. I am planning to sell source code (php/mysql) of our Quiz program which gives lot of traffic to achieve rapid improvement in Alexa ranking of our new Social Bookmarking and News site. Read more about our Quiz here. It is having Admin module for managing quiz questions. If you want to buy source code of this quiz program contact me rajamanickam.a@gmail.com . Specify "Quiz Sales" as Subject in your email. Specify "Stock News Reader Sales" as Subject in your email for buying the source code of this tool. And, specify "Easy learning Sales" as Subject in your email for buying the source code of easy learning. As an Introductory offer I am planning to keep price as minimum for all our products for few weeks. Subscribe to our blog feed to read about announcement of our coming products. And, we can help you to set up the coding if you face any difficulty in doing set-up. And if you need any custom changes in any product we will do it for additional cost. I am planning to use this forum as an effective way for improving performance of our Team. All our Team members will be keeping note of what they are learning daily and any issues faced by them. So, it will help them to get further details or resolution for their issues from other Team members. And everyone can learn from the knowledge base entry done by others. So, it will help to improve the spirit of Team work and will help to reduce any learning and development time which will ultimately help us to quote comparatively less price for our Customers. You can read here the benefits of outsourcing your projects to us. And, we are keeping this knowledge base accessible for public use also. So, anyone can read the knowledge base and they can answer for any unanswered questions. Since it is accessible for public, our Team is taking additional care for not sharing any sensitive/privacy information about our projects/clients. So, if you are a beginner you can learning many things from experience of our Team thro' this knowledgebase. And, if you are an expert you will find lot of unanswered questions for showing your expertise. Since our site Alexa ranking is getting improved rapidly, you will get a chance to show your expertise to huge audience. It will help you get lot of good opportunities for making use of your talents. Please feel free to contact me (rajamanickam.a@gmail) if you find any issue in this system and you can share your suggestions to improve it further. Now you can start sharing your knowledge. We are continuously working hard to release new features and improving our Social Bookmarking and News site. Find below the list of changes done recently. Added Menu page for the Easy Learning. Added Email validation for verifying the From and To Email addresses entered in email Form appearing after completing the Easy learning. Updated the Easy Learning code for truncating the lengthy sentences selectively based on whether it has HTML tags in first few characters. This feature will help us to create new topics with more HTML content without affecting the current pure Text based topics. Allowed the Users to edit their previous comments in News Display page. And, used converted the comment adding module using Ajax to avoid page refresh when adding comments. And added some features to allow the Admin to edit the links and comments of all users easily. Created code for generating RSS feeds. Provided links for RSS Feeds in Home page and in a separate page also. Updated the Links page so as to hide links from few categories such as Jobs. And, we are having many plans in pipeline for improving our Social Bookmarking and News site. If you are having any suggestions you can share thro' comments. Find below the list of open-sourced free content Management System providers. Personally I have used only Joomla and Worpress. They are pretty good. Since they are used by many people, lot of plug-in/extenstions/mods are available for them. If anyone finds any other good CMS you can share it thro' comments. I came to know that some companies are providing their own CMS. But I won't recommend them. Because we need to depend on them for making any further changes. But we can find lot of developers for any open-sourced CMS. eBook about Software testing and QTP automation had been sent as prize to the winner. Do you believe that you can get more score than the winner? Wait for the announcement of our next competition. Subscribe to our blog feed for getting updates about our coming competitions.